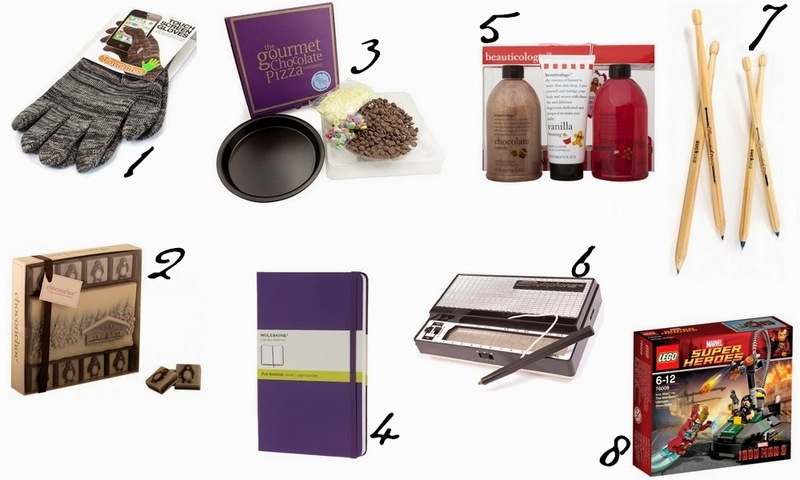 Christmas Gift Guide #3 – UNDER £15! Hello everyone! This is the last gift guide I am doing, most gifts are unisex and all are under £15! Who doesn’t have a touch screen phone nowadays?! I know a lot of people constantly searching for a decent pair! These come in red, grey and black which is a change from the usual black with grey fingertips design, and they look lovely! I received a box of Choc on Choc last year, and they tasted absolutely beautiful! They’re handcrafted from BELGIAN chocolate, yum! Another bonus is if you’re buying for someone with a gluten allergy is that these are gluten free. I am penguin obsessed so I think these are amazing personally. Pizza shaped chocolate?! This kit comes with a reusable pizza tin, Belgian milk chocolate, Jelly beans, Red rainbow drops and white chocolate curls! These are such good quality notebooks, and this particular one comes in five different colours: Purple, Pink, Green, Yellow and Red. You can also choose whether you want the paper to be lined, squared or plain! This gift set comes with a Chocolate Cupcake Shower Crème 500ml, Gingerbread Cupcake Body Wash 500ml and Vanilla Frosting Body Lotion 200ml. These vintage music makers would be perfect for anyone who loves making music, or even listening to music! You can choose these either in pens or pencils, and I think they’re a perfect little fun gift! This is a little Lego stocking filler for the young ones and big kids in your life! Everyone loves Lego! At the time of publishing this blog post all gifts are under £15. Next Post The Beginning of Ciaté Mini Mani Month!